This coffee colored tee with white and gold graphics is poppin’. This new tee from Big Scoob’s line is bold and makes a statement. 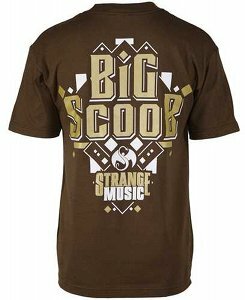 The front reads ‘All I Kno Is Hood’ and the back has Big Scoob and Strange Music’s logo. 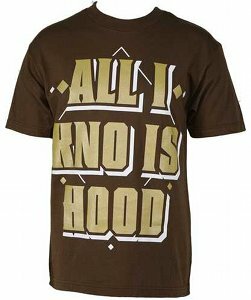 Click here to purchase your very own ‘All I Kno Is Hood’ tee today!